Liverpool legend-turned-pundit Michael Owen has admitted that he is still disappointed by the fact that he could not return to the Reds during the backend of his playing career. The former England international made a name for himself with the Reds between 1996 and 2004 where he contributed 158 goals across all competitions. “ Owen could not make much of an impression during his single season with Real Madrid between 2004 and 2005 “ and he was thereafter offered a Premier League return with Newcastle United. At the Magpies, he could not quite replicate the showing, which made “him a favourite at Anfield“ and thereafter.He witnessed a breakdown in his relationship with the Liverpool faithful after making the shock move to arch-rivals Manchester United in 2009. 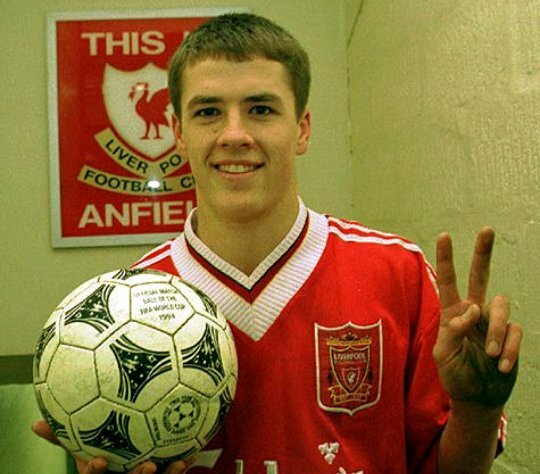 Though the switch was not appreciated by the Liverpool supporters, Owen nevertheless achieved the feat of being a Premier League champion for the very first time. After three seasons with the Red Devils, he decided to pursue the move to Stoke City. Owen could only make eight league appearances from the bench for Stoke through the 2012/13 campaign before deciding to hang up his boots.